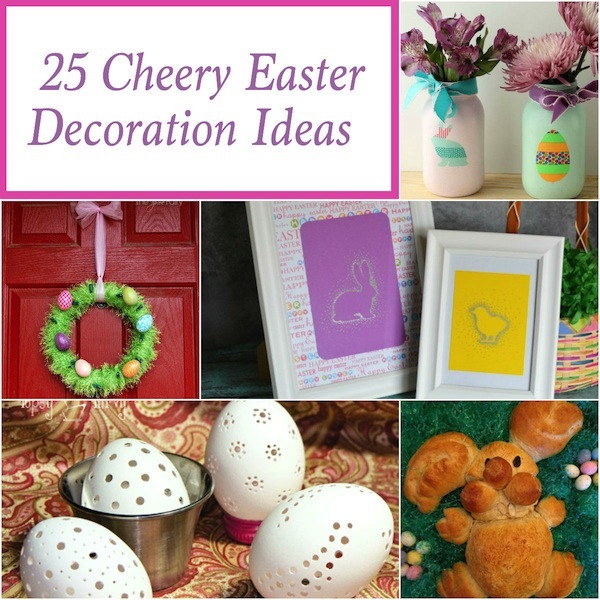 Creative ideas for Easter decorations can be hard to find…that is, until now! 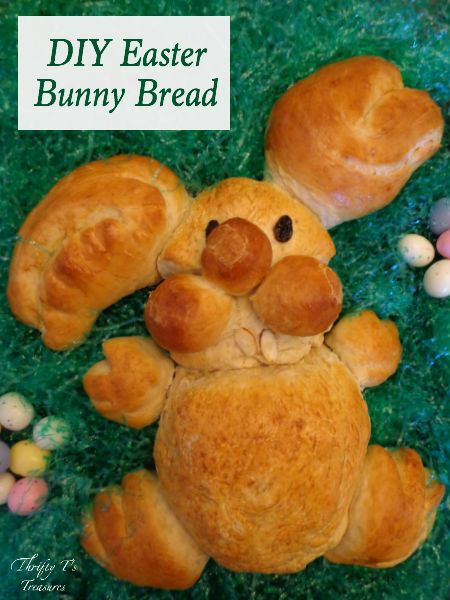 This DIY Easter Bunny Bread is the perfect addition for the centerpieces on your table and even fun crafts for the kiddos to make. Check out the step-by-step tutorial below! 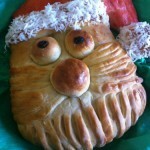 After creating my DIY Santa Bread, I just couldn’t pass up the opportunity to create a fun Easter bread too. 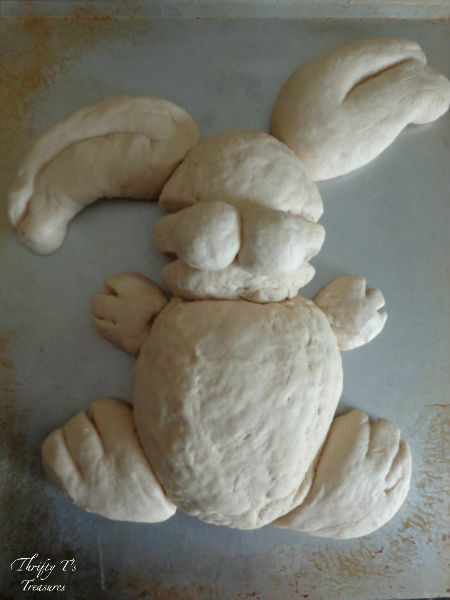 Without further ado, I present my DIY Easter Bunny Bread! Isn’t he absolutely adorable?!? 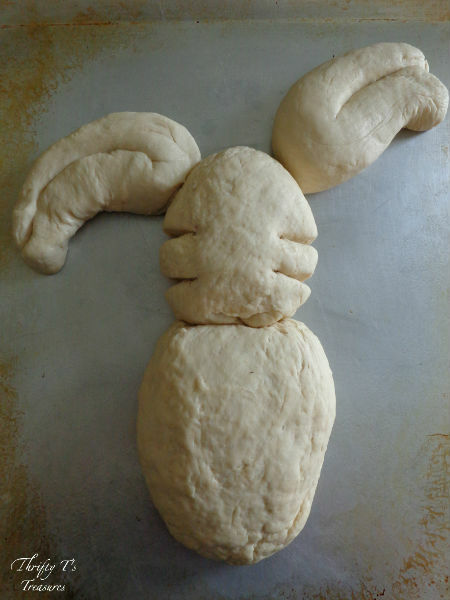 I had a blast creating this bread and I know you will too. It may look like it took forever but it didn’t. I promise that it’s super easy! Begin by spraying your cookie sheet with cooking spray. 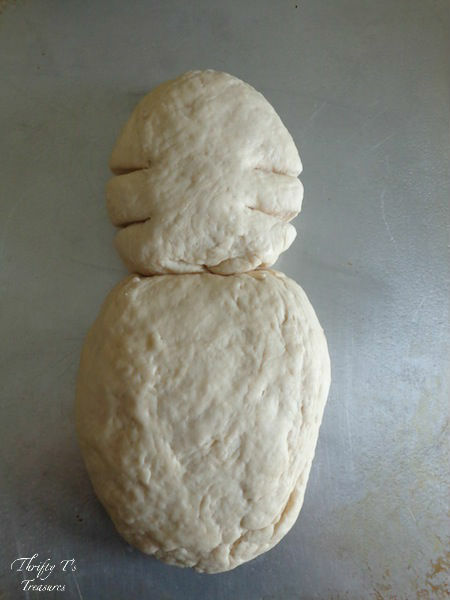 Using your kitchen shears, cut off 2/3 of your first loaf of dough. Place it on the cookie sheet and press it around to form an ovalish egg shape. 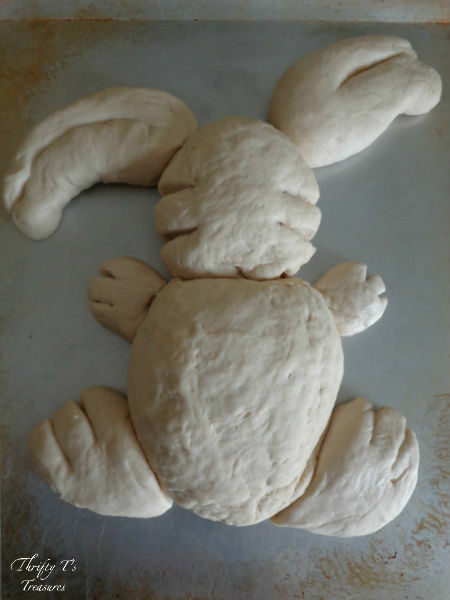 Take the remaining 1/3 piece of dough and create the head. 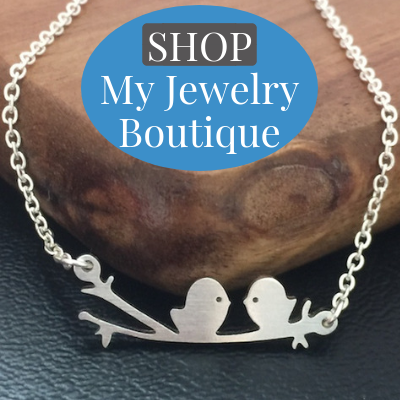 This piece is similar to a pear shape. Make two small cuts on each side of the head to create whiskers. Take your second loaf of dough and cut it in half. Take one half and cut it in half again to create the ears. Roll each piece out so that it’s long enough to fold in half and still make big floppy ears. (I found it easier to roll in my hands.) You’ll want to make sure it’s the same thickness along the entire piece so that your ears don’t look wonky when you fold them in half. Here’s the fun and creative part. Place the ears any way you’d like them. I had one ear going up and one going down. Cut the remaining dough in half. 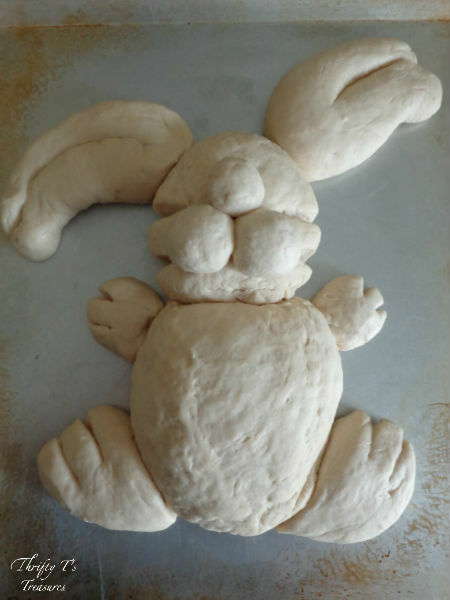 Take one half of the dough and cut it in half again to create the feet. These pieces are more of an oblong shape that are pointy at the end. On the non-pointy end, make two cuts to create toes. 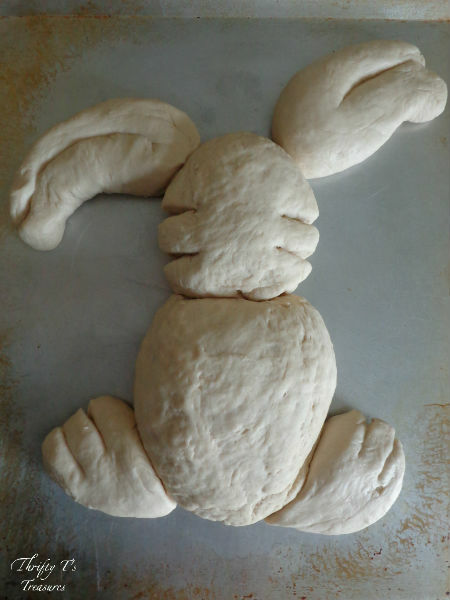 Cut 1/3 off of the remaining dough. Take this piece and cut in half to create the hands. These pieces are a circular shape. Make two cuts to create fingers. 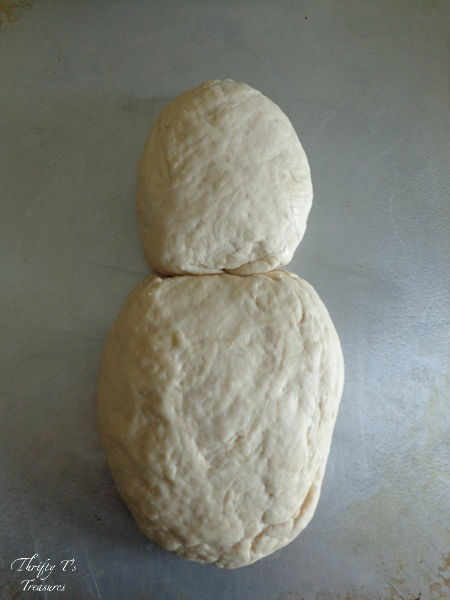 Take the remaining dough and cut two large pieces and one smaller piece. 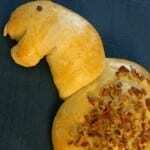 Roll the larger pieces into cheeks and place side-by-side near the whiskers. Roll the remaining smaller piece into a ball to create the nose. Place it above the cheeks. Place your slivered almonds underneath the cheeks to create teeth. Place your raisins above the nose to create eyes. 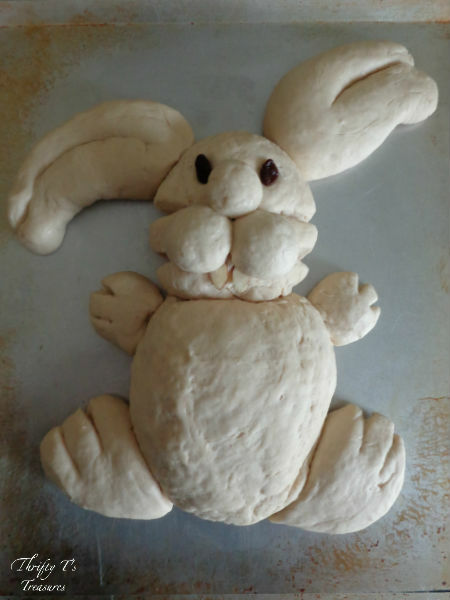 And there you have it – an adorable Easter Bunny of your own! 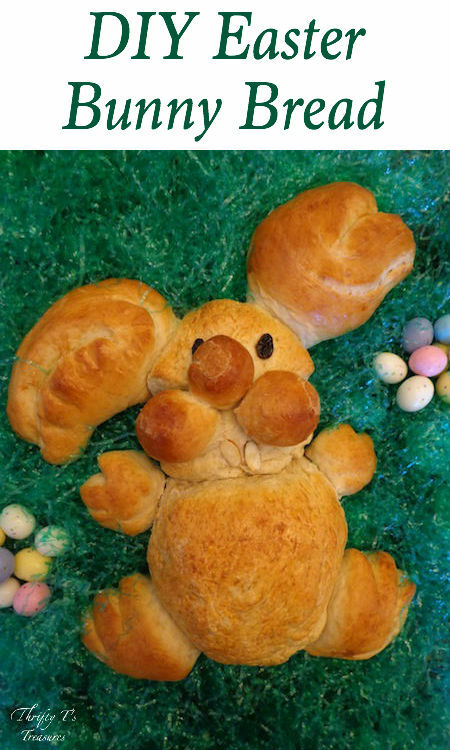 Whisk your egg and brush your entire bunny with it. Cover with cling wrap and let rise for 30 minutes. Place in a 350 degree oven and bake for 30 minutes or until golden brown. If possible, try not to move your bunny. (Use your cookie sheet as your serving tray.) Your bunny has a lot of pieces that are very fragile that might fall off if you try to move him too much. In the event that you do move him and one of the pieces falls off, you can use a toothpick to re-attach it. Cut a whole in his belly and hollow it out. 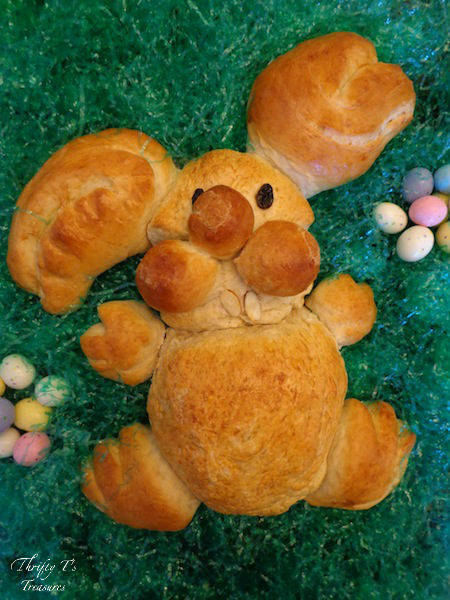 Place your dip inside the bunny’s belly and the veggies around him. You could also dress him up by placing large pieces of lettuce around and under him. 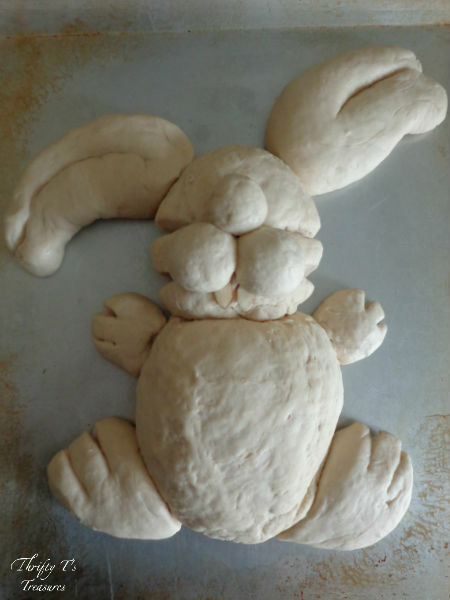 You will need to double this recipe to make one Easter Bunny. Combine the dry ingredients in the bowl of a heavy-duty electric mixer fitted with the dough hook attachment. 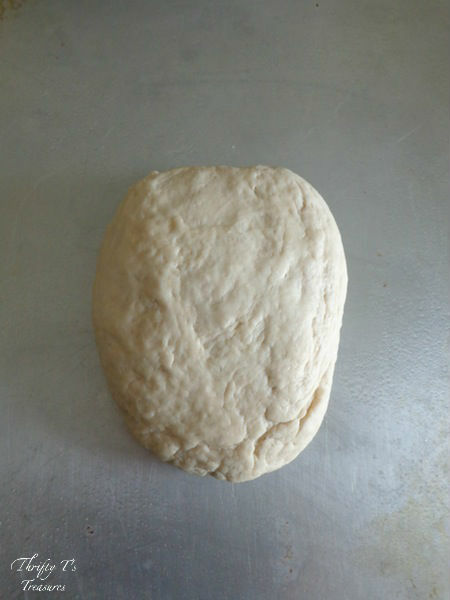 When it’s well blended gradually add the water until dough comes forms around the hook. Continue mixing until the dough is elastic and pulls away from sides of bowl, about 3 minutes. Turn out onto a floured work surface. Shape into a ball, cover with a clean kitchen towel and let rise for 30-40 minutes. 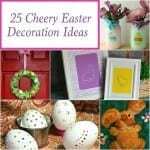 Check out these 25 cheery Easter decorations for more inspiration! SO CUTE! 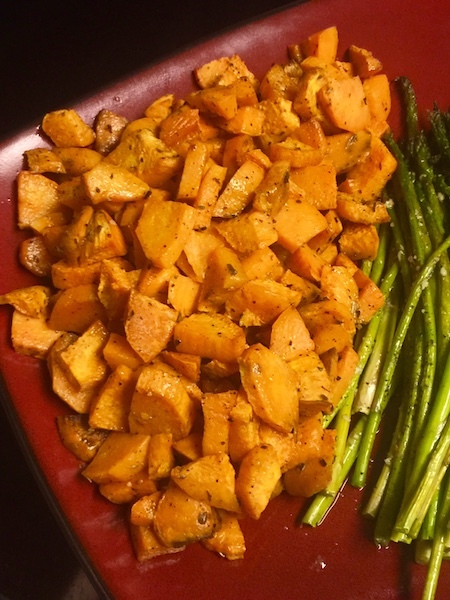 Love the idea of using the belly as a veggie bowl!